Events, Shows and other Happenings! Where can you see my work? Oh, what treasures we have on these Lake Superior Beaches! 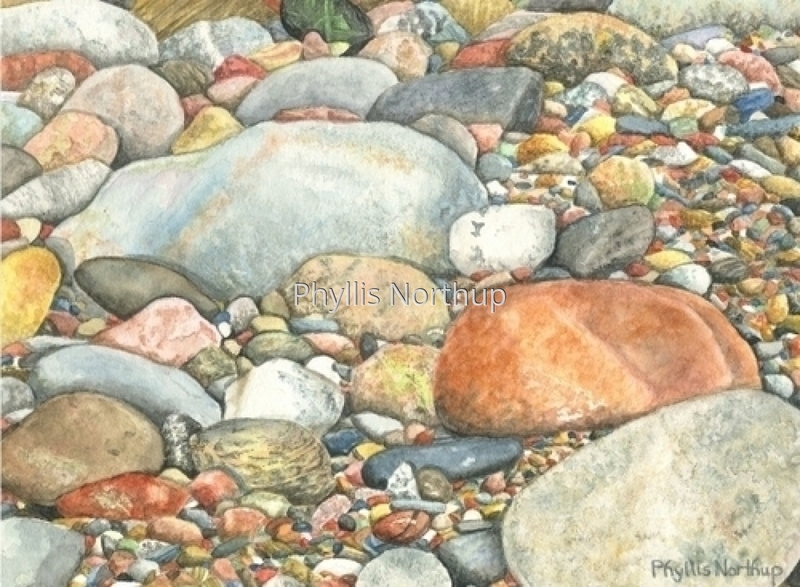 Rocks and pebbles of all colors, shapes and sizes, many so smooth and polished they are a joy to touch! I will never lose my sense of wonder at these beach stones, I absolutely love them! Limited Edition Print from an original watercolor. Original reserved.